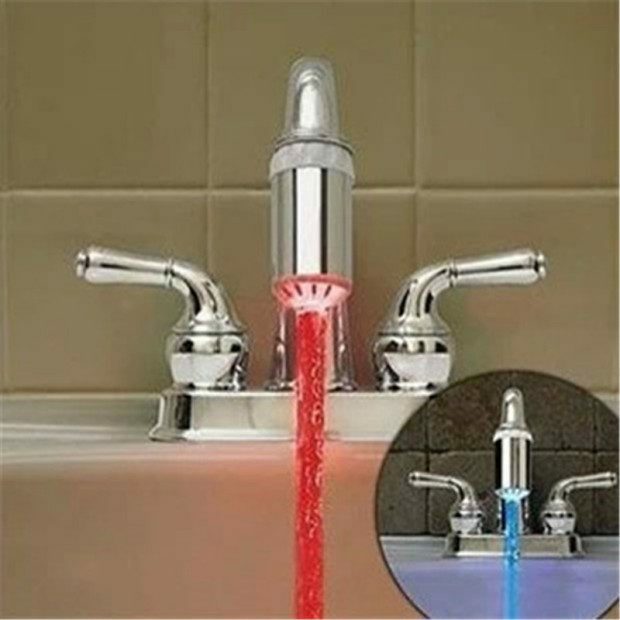 Temperature Controlled Faucet Light Only $4.80! Ships FREE! You are here: Home / Great Deals / Temperature Controlled Faucet Light Only $4.80! Ships FREE! This is perfect for a house with kids! They can learn to tell when the water is safe by the color of the light! Order a Temperature Controlled Faucet Light for Only $4.80! Ships FREE!